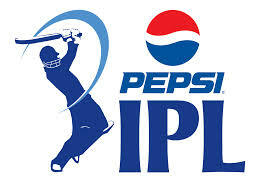 IPL is back with its sixth season,more action more glamour more money and more entertainment. A tournament for shorter form of cricket i.e T-20 is very famous throughout Indian subcontinent and most parts of the world. It brings world together on one stage just for cricket and spirit of the game. New talents from India which struggle throughout there life for name and fame gets it here instantly if they have skills in them,money they get is much higher as compare to Ranji Trophy and other such local tournaments in the country. This also promotes the concept of One World, it washes away regionalism as a player from one region plays for a team of other region or state and cheered by the people for his cricketing skills. With IPL cricket has reached new heights,those who don't like to watch it before now eagerly waits for it. We have got new stars like Yousuf Pathan,Shikhar Dhawan,Ravindra Jadeja,etc from this. It has also helped in removing rivalry of Harbhajan Singh and Andrew Symonds as they both played for the same team. But as I also look at the other side of the things,it has reduced players as mere commodities to be sold and bid for money,I must mention that there are reports of match fixings, as so much money is involved in it there are possibilities of more such incidents,also where there is money there is politics Kochi team was discontinued after brief introduction due to political involvement in this team,after much parties are reported with incidents of eve teasing and molestation,drunken players and team owners also came under scrutiny for there behaviour and Shah Rukh Khan's ban from Wankhede Stadium is an example of this.There are tax issues with teams and game is played for not winning or loosing but for profit and loss,the loss has made owners of Team Hyderabad to leave it for some other company. Very nicely written, a short article, about the positive and negative aspects of IPL.